Hosted Exchange - Email in the Cloud! 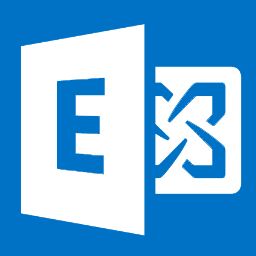 All the shared functionality of an Exchange server, without expense. Shared Email. Shared Calendars. Mobile Apps. Full Web Access. Save your business valuable time and money, by shifting to Microsoft Exchange. Moving your email services in the Cloud, with a Hosted Exchange service offers a cost effective, feature rich alternative to traditional email hosting services. Linked with the added features offered by an Exchange Mail Server, including shared malilboxes, calendar sharing, shared contacts, meetings and more...a Hosted Exchange email service will increase your productivity and save time and money. The Cost of setting up and maintaining an Onsite Hosted Exchange server for any size organisations can be expensive, not just hardware expenses but having an IT Tech to maintain the service. Then there is the issue of security that has arisen surrounding the Cloud email giants such as Google Apps and Microsoft 365 in relation to what they can and cant see in relation to your mail and where your email gets stored. JoomlaHost.com.au can help you solve both those problems, with our powerful Hosted Exchange Email solution. Keep your email safe and secure in Australia by chosing a trusted, secure provider with affordable pricing. JoomlaHost.com.au's Hosted Exchange services are fully compatible with Microsoft Outlook on all desktop devices and the Outlook app on smartphones. Don't put up with slow international servers or suffer poor levels of support on your mission critical emails. JoomlaHost.com.au's exchange servers are located in our secure, Sydney datacentre and are backed up daily. Supported by our award winning 5-Star support team, its a winning combination! Make the switch to Hosted Exchange TODAY! Shared MailboxShared Mailbox: Harness the power of the cloud, by sharing your emails and folders not just amongst devices, but also staff. Save time and never lose an email by clunky synchronisation methods again. Shared CalendarShared Calendar: Increase your business productivity by having access to a fully shared calendar. Set appointments on your mobile device, which will instantly appear on your office PC/Mac, or even on your staff members devices if you wish. Shared ContactsShared Contacts: Easily keep track of all your contacts, across multiple devices/platforms. No more scrambling to find a phone number or digging through past emails to find an email address. Everything is neatly synched on all your devices. Shared MeetingsShared Meetings/Todo's: Quickly and easily share todo lists and meeting appointments with anybody in your organisation. Including the ability to see who is or isnt attending meetings. Mobile Friendly AppMobile Friendly App: Hosting Australia's Hosted Exchange service is fully compatible with the Outlook App, which is available in your devices App store for free. iPhone & Android SupportiPhone & Android Support: Easy to setup on your mobile devices, and integrates neatly into the native apps, making your "Mobile Office" even more mobile than ever! 100% Australian ServersAustralian Servers: Hosting-Australia.com operates all hosting servers from right here in Australia, right where most of your email traffic will likely come from. 100% Australian Support100% Australian Support: All our support teams are located right here in Australia, meaning when you need support, its quick, easy and friendly.